SuperPark Singapore – All-in-one Indoor Activity Park and Giveaway! Elmer The Patchwork Elephant Show and Giveaway! Our Parenting World, Mummy was invited to Channel NewsAsia, Singapore’s premium television channel on the production of news and current affairs to talk about the hot topic “Unfair advantage for school alumni?”. Education is always an important and a pressing concern for majority of the Singaporeans. 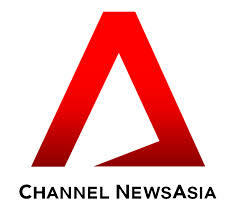 Channel NewsAsia attempts to discuss and address the following topics during its one hour show “The Talking Point”. Do alumni networks give certain students and schools an unfair edge over others? How can a better balance be struck? Should so much priority be given to children of school alumni during P1 registration? Is further rebalancing needed? Alumni networks also give certain primary and secondary schools an edge in funding facilities and programmes. Do students of newer neighbourhood schools lose out? “The Talking Point” is a LIVE one-hour talk show on every Wednesday at 8pm hosted by Steven Chia. It discuss the hottest issues affecting Singaporeans. Here is a snippet of the show and please click HERE to watch the complete version of the show. Mummy would like to express her heartfelt thanks to the producer, crew, the host, Steven Chia and everyone in Channel NewsAsia Talking Point team. It has been a great experience working with you all! Our Parenting World is Singapore's Award-Winning Premier Lifestyle, Entertainment and Family Website. Join us and have fun as we share a multitude of stories, ideas, giveaways/treats and updates on lifestyle and family-fun activities, events and adventures! 1 + 8 = ? Our Parenting World is Singapore's Award-Winning Premier Lifestyle, Entertainment and Family Website. Join us and have fun as we share a multitude of stories, ideas, giveaways/treats and updates on lifestyle, entertainment and family-fun activities, events and adventures! Subscribe to our Newsletter to stay in touch with the latest events, treats and giveaways! COPYRIGHT@2019 OUR PARENTING WORLD (OPW MEDIA) PTE LTD.